An Interview with Vandana Shiva. There is this fear of intellectual freedom because the old paradigm must be maintained to continue that project of colonising the earth, colonising people’s minds. The minute people are able to think for themselves, that project is over. Vandana Shiva is one of the leading thinkers today who advocates food sovereignty, Earth citizenship, climate justice and ecological stewardship. She has been an influential figure in the global justice movement as well as a prolific author on ecofeminism who consistently stressed the importance of gender in socio-ecological change. Shiva was in Istanbul in late January 2016 to deliver the annual human rights lecture in memory of Hrant Dink, a Turkish-Armenian journalist assassinated in 2007. We caught up with her and conducted this hour-long interview, thanks to the organisers of her talk at Boğaziçi University. It is all related: making peace with Earth, making peace with each other and making peace with ourselves. This is really about the interlinked crisis of ecology, the planet and the disintegration of society. Ethemcan Turhan: Today we live amidst overlapping, multiple crisis. Political, economic and socio-ecological crises. You have come to Istanbul to deliver the annual Hrant Dink Memorial Lecture titled “Making peace with the Earth and with each other”. So let’s start with a question about that. What does “peace” mean in a time of multiple crises? Vandana Shiva: First it means ending the war and the war is first in the mind because it is the mental frameworks, the paradigms that define us at war with the world. Conquering nature is defined as progress. It also creates real grounds for conflicts between people by creating scarcity because the measures are manipulated. Gross Domestic Product (GDP) is the most manipulated figure in the world yet it has become the most powerful number that rules everything. Those who are powerful, of course, want it to be used widely. Yet it fails on the real scarcities of water, soil fertility, food… I mean remember Arab Spring: I remember the image of fruit vendor, bread protestor who were presented as anti-regime saying “No they weren’t asking for bread”. First you create an economy with speculation that has taken basic food from the people then the same big powers also manipulate and say it wasn’t about bread but it was about the regime. Then about making peace with ourselves: We are after all part of the world, as chief Seattle wrote “We are the web of life”. We are not separate, we are not outside, we are not the masters of the universe. That’s why I am very critical of some Western thinkers including some Nobel Prize winners who are talking about the Anthropocene as “man managing the planet” and engineering the planet. This is the continuation of the hallucination that has caused the problem in the first place. So when we do not see that we are part of the Earth, our basic knowledge makes us think we can put more and more cars on the road and that this act is unrelated to the health of our lungs. We can chop down more and more trees and cover up more gardens and eventually have intense flooding in cities. These are all parts of having failed to understand our true identities as Earth citizens. So it is all related: making peace with Earth, making peace with each other and making peace with ourselves. This is really about the interlinked crisis of ecology, the planet and the disintegration of society. I think we are living through periods and this one is about disintegration of the entire civilisation. Syria is an example but also look at large parts of Africa. While I was coming here at the airport in India there were about 2000 Indian peacekeepers flying to the Congo. Why do they fly to Congo? Look at the forest, look at the exploitation of the Congo. There you see the triggering of all the interconnected conflicts. The new Anthropocene is really a bunch of stupid men beginning with the Gates Foundation who say: “Oh we know what’s good for the Earth! She’s stupid, you’re stupid, they’re stupid and I’m the smart one”. Ethemcan Turhan: You have mentioned the term Anthropocene. In a recent commentary in Boston Review, you also argue that you consciously avoid the term Anthropocene. Some authors like Jason W. Moore also name the current epoch we live in as ‘Capitolocene’ where geo-bio-physical planetary processes are irrevocably shaped by the capital accumulation. Anthropocene, for its discontents, conveniently and deliberately obscures issues of class, power, global and national inequality, and injustices between peoples and places. What is your take on this? Vandana Shiva: The problem with using the term Anthropocene is that it does not just put men separate and above. It really puts men above women and reinforces all of the colonisations that fuel this deep divide. The western paradigm started to talk of nature in a different way from the societies across the world and you end up with the thinking from the mechanical reductionist philosophies, like those of Francis Bacon and others. I find it fascinating that they told us not only that nature is dead, but that other cultures were dead too. This is due to the idea of terra nullius. In fact, I think in this idea of ‘empty earth’ is the seed of the Anthropocene. They bulldoze an ancient 1500 year-old garden in Istanbul because it is considered empty. They also go to historic parts of India and bulldoze farmlands and appropriate land for real estate. We had to fight against a law in India where the government was allowing land to be appropriated from any peasant at any time for builders. We do have a law that says peasants have rights but you know what? Building is the secret joy; real estate has big players. So this whole idea of defining emptiness such as “the earth is empty, there’s no capacity in other cultures” unfolds. “Terra nullius”. From the Sydney Morning Herald, 5 July 2014. Source: bmuc.blogspot.com. I don’t think it is even a system any more, that’s where I differ with my lovely friends who think that what we still have is a capitalist world order. I call it a mafia order. It’s a bunch of five men. There are no rules of the game anymore. Recently, I have been writing a book on pulses since this is the year of pulses. What are we left with? Soybean? All our pulses are turned into soybean. It’s in everything you eat. You can’t escape soybeans if they are in processed food. So this idea of emptiness is very much part of it and in the past 250 years the convergence of the fossil fuel age, the rise of industrialism and all that added up to this ‘emptiness’. Fossil fuels gave rise to an industrial mindset that led to the rise of capitalism and deepening of patriarchy as capitalist patriarchy. They are really one undivided whole; they are not really separate. So the new Anthropocene is really a bunch of stupid men beginning with the Gates Foundation who say: “Oh we know what’s good for the Earth! She’s stupid, you’re stupid, they’re stupid and I’m the smart one”. There is an overuse of the term ‘smart’ in such discourses. The big thing in Paris was ‘climate-smart agriculture’ and we are showing how stupid it is. It is really a stupid idea because it is continuing to push the same idea that caused 50% of the climate crisis and is making our food system deeply vulnerable. So I don’t think it is even a system any more, that’s where I differ with my lovely friends who think that what we still have is a capitalist world order. I call it a mafia order. It’s a bunch of five men. There are no rules of the game anymore. The old Europe with its social welfare and welfare state system at least had some rules. Yes, there was capital accumulation in it but there was also welfare in it. But now there are no rules for capital accumulation. This is partly because globalisation created a system with a zero responsibility and climate change is such a case where you have outsourcing of all the pollution and it is so convenient for the polluters. You keep growing while you put the climate bill on others to pay. This is like Wild West cowboys. It’s pre-capitalist. It’s primitive accumulation. The problem is legal deregulation that WTO rules require and criminalisation of environmental activism. So it’s a deeper challenge today because powers are more organised. Ethemcan Turhan: I think there is something very important in how you describe all this. You are one of the key figures to write on the gendered dimension of ecology. So I want to go back to your book Staying Alive (Zed Books, 1988), where you talk about maldevelopment and call for an ecological-feminist political project. That was 1988, now we are in 2016. Almost 30 years on, how do you see the prospects of such a project? Do you see such an alliance between contemporary movements of environmental justice, degrowth and others? What similarities and differences do you see between those and the anti-globalisation movement of 1990s and early 2000s? Vandana Shiva: Between 1988 and 2016, when I was writing Staying Alive, I was writing it out of a lived experience being involved in Chipko movement. It is the product of being involved in a movement where women were fighting large dams. Back then, we had big players but they look like nobody in today’s world of power because they were nationally rooted. We did not have a globalised economy so there was a national system and within that national system of course there was brutality. Of course people were being arrested but at the end of the day, there wasn’t a single movement that I was part of up to 1995 that we didn’t win. There was still this little shallow fragile democracy, it was brittle and favoured the powerful, but it could still be shaken. Its processes were still up for use. We created all the environmental laws in that period. Starting from 1981 Forest Law in India, which came out of Chipko movement, all the laws for water, air pollution etc. followed. The difference between then and now is that today being an environmental activist is belonging to one of the most marked communities and this is not just the case nationally but also globally. All you have to do is to read The Economist. And what The Economist says is happening in Russia, India and probably in Turkey, in Africa. Environmental activists in Africa are being thrown into jail. Why? Because between 1980 and today, once you had the World Trade Organisation (WTO), you had globalisation, you had de-regulation and therefore the right to destroy the environment was enshrined into laws. We were starting to write laws for environmental protection at that time. Infographic for global killings of land and environmental defenders. Source: globalwitness.org. Globally now there is a systemic attempt to deregulate. The climate treaty is part of that experience. In 1992, we had the United Nations Framework Convention on Climate Change (UNFCCC) and the Third World was leading. My country, India, played a big role. I was advising the Ministry of Environment at that time. Now look, 21 Conference of the Parties (COPs) later they are still struggling. But more than that, the problem is legal deregulation that WTO rules require and criminalisation of environmental activism. So it’s a deeper challenge today because powers are more organised. Back then, I discovered the World Bank as part of my environmental work. I asked “Why would we be planting eucalpytus?” and I found World Bank funding behind it. We organised globally and really put them on the defensive. Five big projects they were funding were all stopped. You have this strange asymmetry today that corporations are globally organised; they are everywhere. They control every government and governments are doing the same thing everywhere. Yet every opportunity is used to prevent citizens from connecting up. You know a Greenpeace activist was offloaded from an Indian plane because she was invited to give evidence in the British Parliament on a particular coal project that was destroying a very important forest zone. So this is our challenge, our new challenge. You have organised corporate power and they’d like to keep us fragmented and we need to find new ways to stay as one community. That’s why for me the idea of Earth Citizenship is a very important political idea. What they basically tell us is “hand over control of your lives to us”. It is then up to us to say “Sorry, we’re not here to allow you to make your next buck. We’re here to live a good life”. Ethemcan Turhan: Within this shift where both corporate and political power is consolidating, we also see a new vision of environmentalism. The new “green economy” where capital harvests nature for profit. This is a new understanding. Even The Economist is now smart and green. Market-based solutions like carbon trading, payment for ecosystem services and Reducing Emissions from Deforestation and Forest Degradation (REDD+) abound. These and other ‘solutions’ including bioenergy and carbon capture and storage (BECCS) came out of the Paris climate change meetings in December 2015. Social movements call them ‘false solutions’. How do we fight these false solutions? REDD+: a false solution to climate change. Source: no-redd.com. Vandana Shiva: One thing is very clear: none of our activities can be in silos anymore. When things were comfortable in the 1970s, you could be specialised and just protect the whales or be specialised in dealing with climate or solar energy. Yet there is the old predatory economy, which was always based on stealing nature from communities, enclosing the commons and pretending that it had created whatever wealth was created. According to it, wealth was not created by the people or by nature. Capital was the creative force behind wealth. The new thing with the green economy is both with new technologies (like biotechnology) and new tools of gameplaying in the financial world; anything can be commodified in interesting ways. Those are two new factors added to the old predatory idea. Then the first job we have is to speak the truth about it. For example, take REDD+. When we talk about it, we need to say that its proponents want to own the photosynthesis process of plants. Such a language gets more people involved, which is the first thing we should do. In the process of doing it, we need to generate a deep awareness and deep love. I think it is people’s love for the Earth that is going to be the political force bigger than all manipulative systems. The other aspect is that at the end of the day, we know that creating organic/local food communities is a much richer way to live. So when Monsanto merges with Gates Foundation and they then merge with Syngenta, they are eventually all merging to become a one group of players. What they basically tell us is “hand over control of your lives to us”. It is then up to us to say “Sorry, we’re not here to allow you to make your next buck. We’re here to live a good life”. Ecological responsibility and duty combined with celebration of life and well-being (and all that came out of Latin America and Bhutan) is what we should seek. When I wrote about maldevelopment or ideas of progress in the past and even degrowth, it has been a theoretical discourse. We said: “Your GDP is a mismeasure”. I think today living differently is the biggest political opposition. That’s where the opposition will come from. I believe diversity and decentralisation are alternatives to globalisation by corporations trying to privatise, commodify, financialise every aspect of our life on this planet. Ethemcan Turhan: I would like to fast forward from Staying Alive (Zed Books, 1988) to Soil, Not Oil (Zed Books, 2009). In the latter, when you refer to ‘living differently’ you identify two key issues: diversity and decentralisation. But what do these two terms refer to under a planetary emergency? How can we decentralise the economy? Is this politically possible and feasible? Vandana Shiva: Let me begin with the second one. It is necessary. This very short period in which countries and communities survived with centralised economy, they are all rendered disposable. All you have to do is to look at southern Europe. Beginning with 2010, half of the youth are unemployed. Look at Greece, pensions are taken away. Anything that could be taken to make money was taken away. How are the Greeks surviving today? By building local communities! Because whatever was created out of the European welfare system has been chopped. Today so many young people, who are unemployed, returned to their villages and they are creating local economies. So there are three things we need to join in this post-growth and post-collapse landscape: I just came back from a beautiful reserve in northeast India where they are trying to build a huge dam. Yet the local people are resisting. They have everything. At every meeting, these people dance. There is so much joy and abundance. Since they are full of diversity, their meals are also so diverse. So you got what I would call ‘pre-development communities’ on whom this horrible globalised development model hasn’t reached and they are the ones now being enclosed since that is where the new possibilities lie. The second point is that we think collapse has not yet happened but we can see ahead and say “enough, this is not a liveable world”. So your objective conditions do not force you to find an alternative but your solidarity with others (whether be it with the oceans, other communities or living beings) push you to find an alternative. And the third point is those who are brought to collapse. All three above have the same aspirations. We have the potential to create an economy. You can call it local, decentralised anything. Diversity is vital here because it is only through mutual links that such an economy can flourish. I will give you a simple metaphor, because it helps me to understand better. You have a monoculture of maize and you keep putting huge amounts of chemical fertilizers all in the name of feeding the world. Yet only 10% goes for humans while all the rest goes for biofuels and animal feeding. This is another aspect of the “green economy”, which is devastating for the planet. Diversity allows you to step back from violation of the planetary boundaries because the planetary nitrogen boundary is being broken by synthetic fertilizers. All you have to do is to bring beans back into cultivation. Not soybean but hundreds of thousands of varieties of beans can be brought back. That is the issue everywhere and that is why I believe diversity and decentralisation are alternatives to globalisation by corporations trying to privatise, commodify, financialise every aspect of our life on this planet. For me at the end of the day, it is about democracy. Are you saying that coal is good for the person who doesn’t have electricity? Let that person who doesn’t have electricity tell you what kind of development they want. Only then we can have true climate justice. 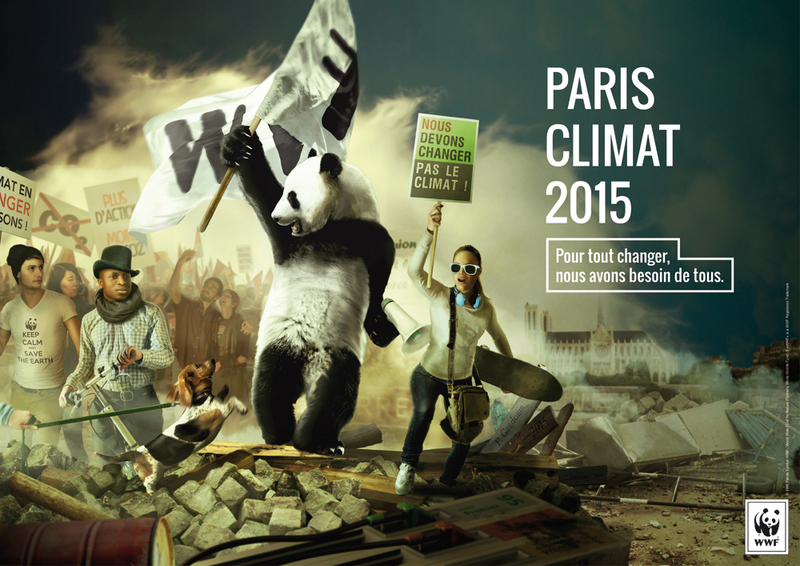 Ethemcan Turhan: From there probably we can move to COP21 Paris (December 2015). It was a big, shiny, celebrated agreement in the diplomatic arena. It even has reference to Mother Earth and climate justice in its non-binding preamble. But again, Indian Prime Minister Modi recently tweeted saying “Paris agreement has no winners or losers. Climate justice has won and we all work together towards a greener future.” The question is: Do we all understand the same thing from climate justice? Vandana Shiva: Oh we got climate justice in there right? (laughing). For Modi, it’s basically coal. Climate justice in this perspective is simply mining more coal, burning more coal. That’s justice. “You burned coal, now we want to burn coal then we are equal”. And for the real people from movements of climate justice, whether be it indigenous people of Amazon righting REDD+ or be it small farmers/pastoralists of Africa fighting against land grabs in the name of having carbon sinks, climate justice is justice for the Earth. It says don’t cross the limits. It means justice for people, therefore their rights, their rights to land, water, their right to stable climate, biodiversity and knowledge are protected. In that way, very clearly, there are very big differences on what climate justice really means. Ethemcan Turhan: I would like to continue talking about the relevance of the Indian example also considering the rampant developmentalism in Turkey. At COP21, Prime Minister Modi announced International Solar Alliance with French president Hollande, putting an ambitious target of solar power by 2020. Yet India is also expanding hugely in coal, which puts communities at risk locally and globally. When you ask policy makers, they say “There are 240 million people only in India that have no access to electricity”. So how can one tackle this developmentalist rhetoric? “They came and built a dam and said you will get electricity. We still have our lanterns. Then they dug up a coal mine and said you will get electricity. They displaced us second time over and we still don’t have electricity. Now they are coming to say that they’ll build a nuclear power plant so that we can have electricity. We don’t trust them. We’re fine with our lanterns”. This maldevelopment model is also an inequitable model that is based on deep exclusion. It uses the poor to justify concentration and control over natural resources. But the poor are only there to be used as excuses. They are then forgotten and exploited even more of the little they have. This is the ecological imperative in India: To fight against taking away of that little bit of water, little bit of land, little bit of seed in the name of some progress that will make the rich richer. The second example is from a part of India, Jharkhand, the tribal state. The authorities say tribals need to develop, so we need coal mining and they will get electricity. Tribals have not allowed a single coal mine to start. For me at the end of the day, it is about democracy. Are you saying that coal is good for the person who doesn’t have electricity? Let that person who doesn’t have electricity tell you what kind of development they want. Only then we can have true climate justice. I would say representative democracy transformed from being of the people, for the people, by the people to of the corporate world, for the corporate world, by the corporate world. Ethemcan Turhan: That brings us to such notion of democracy, Earth democracy in your words. Recently you co-authored a declaration called Terra Viva, which calls for a new agriculture, a new circular economy and a new democracy. Can you elaborate on how these things work together? Vandana Shiva: So we wrote Terra Viva with a group of people coming from different backgrounds and different experiences including the former secretary-general of the United Nations Convention on Combating Desertification (UNCCD), urban planners, rural sociologists and others. It was the year of soil and we wanted to understand the state of soil globally. That is how all our understanding on Syria, Nigeria and Boko Haram came through. The new agriculture is about an agriculture that works with the Earth, it works with nature because the old agriculture is an agriculture of war. The instruments and mentality of old agriculture came out of war system and caused huge damage. As much as maldevelopment uses the poor to justify the need to maldevelop, old agriculture uses the poor to say “we need to take more land and food from them and take away their seeds in order to feed them”. So what we need is a new agriculture. Our responses have been fragmented; as citizens we have not been able to generate the power we actually have. If you take the people who fight for bees, people who fight for animals, people who fight for land rights, people who fight for food rights, their fights are not being integrated. This is what we aim to do with Terra Viva. The second point is the new economy. You can come to a poor country and say “you need to take all the wrong steps” but you can’t say that to an unemployed Greek or Italian youth today. You cannot simply say “you need more of this austerity programme” built into structural adjustment. So you need a new economy and the new economy cannot be the extractive economy. It should be circular economy of giving back. Giving back to Earth because it is the only way you close the broken cycles. Our farmers are dying and the agribusiness is getting richer. 1% is my calculation of what producers get from the price consumers pay for food. So the new economy becomes an imperative. All we have to do is to say: “I know what real food is, what you’re selling is fake food. I know what real democracy is, yours is a fake democracy”. Then comes the new democracy because the old representative democracy is as good as dead. First, because since globalisation states are not captive to globalised corporate power, they became what I call ‘corporate states’. They only remember citizens for votes and now even those votes are being bought by corporate money. We have seen that in the USA where it was legally allowed for corporations to buy elections: look at the Koch brothers, look at the amount of money candidate must raise. That’s why Bernie Sanders is such a breath of fresh air. I don’t know what your last elections in Turkey were like but in India the last elections were media-run elections and for that you need lots of money. It isn’t how close you are to the people. I would say representative democracy transformed from being of the people, for the people, by the people to of the corporate world, for the corporate world, by the corporate world. Which is why you see these concrete jungles grow since urban planning is no more about urban planning in a democratic way. It is not in the hands of municipalities. A builder can totally rewrite the rules and all a builder needs to do is to finance your next elections. So you need a new democracy and that should be participatory. We are at a point where the alternatives need to grow from ground up, very often we had this thinking globalised policy is causing problems so let’s change the rules of WTO. I have lots of friends who spent all of their time going to WTO meetings. At a certain point, I said no. Instead of going to WTO meetings, let’s set up seed banks, set up seed commons and let’s change the rules. Let’s live by other rules and make it such big movements. Today I can say very happily that ten countries managed to roll back laws criminalising seed saving. In a crazy way, this market-mafia rule wants to make us so stupid. They want to tell us how soil works, how climate works, how society works… All we have to do is to say: “I know what real food is, what you’re selling is fake food. I know what real democracy is, yours is a fake democracy”. So it is really the real lived experience versus fake propaganda of economics, of politics, of agriculture. 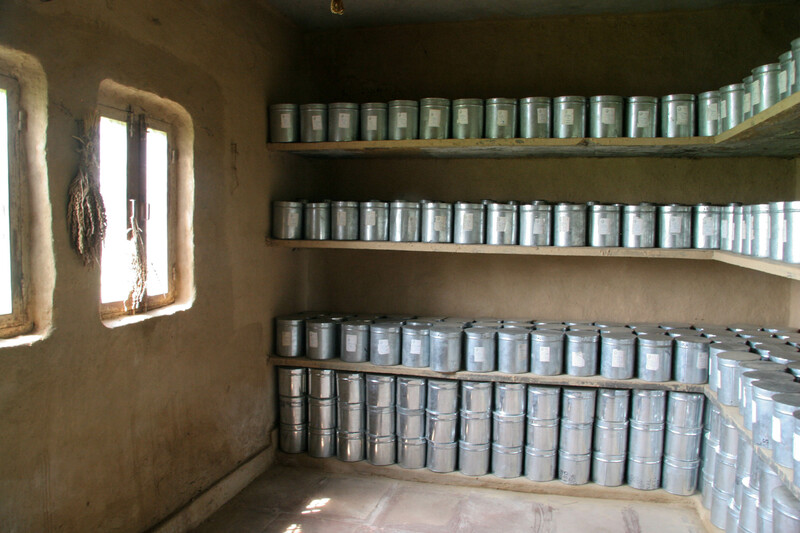 Seed bank at Navdanya’s biodiversity conservation farm near Dehra Dun, Uttarakhand, India. Source: gatherandgrow.org. Ethemcan Turhan: I am approaching the end of my questions but I still have a question about grassroots organising. We live in an increasingly urbanised world, and at the same time we have this massive industrial infrastructure. So in a new economy, new agriculture, new democracy that’s defined in Terra Viva, what do we do with the leftover of the existing industrial infrastructure as well as their associated massive urban zones? Vandana Shiva: The first thing is to not let the existing industrial infrastructure fall into disrepair where it is and destroy other people’s lives to replicate an old industrial structure elsewhere. I have been to Eastern Europe where entire towns are laying abandoned, entire places. So you want to make steel? Make it there rather than taking over the land of Indian tribals. Just because globalisation allowed outsourcing what you are witnessing today is a period of deindustrialisation of the Global North and outsourcing of heavy and polluting industry to the Global South. And I think this is totally unfair at every level. The second issue is taking externalities into account. The only reason the fossil economy can take over is that it manipulated the definitions of efficiency, production, labor, capital and land. As we have written at the end of Terra Viva, the two most important things are the Earth and the people. And they are not inputs to your capitalist system, sorry sir! They are ends in themselves. Therefore we need to shift these manipulated definitions around. I sometimes become so surprised about how much we can take an old definition and slave ourselves to it. GDP? 60 years old, not even that old. And everyone says “growth must happen, industrialisation is a must”. So what we do is to take externalities seriously and speak the truth. I once had a debate with one of our most eminent software people where they told me “Oh we have created high growth for India, agriculture is dragging us down so we must reduce the denominator”. Productivity is output/input. The only input is labor and in agriculture that means farmers. So when they say we must reduce the denominator, they refer to farmers. But that denominator is an equal citizen of this land and it is not in your hands to say how many of them you can write off. It is in their hands to decide how they want to farm and what they want to farm. It is in their hands to fight for a just farming system so that the small farmers are not displaced. A lot of it really is to get out of the colonisation of the mind, which makes so much of the destruction seem inevitable. Once you are free from that, you can start defining things in a different way and what seems impossible in the old paradigm becomes so easy in the new one. Ethemcan Turhan: Last two questions are about real life solutions, alternatives. So there is the Navdanya movement, Earth University and other initiatives that you have set up. What role do you see for social movements to build real life alternatives within or outside of the state? The second question is about the role of academia. What role do you see for academia particularly at a time when academic freedoms are increasingly under attack, not least so here in Turkey. This is also the case in countries where universities are increasingly being neoliberalised. So what is your take on these two issues? 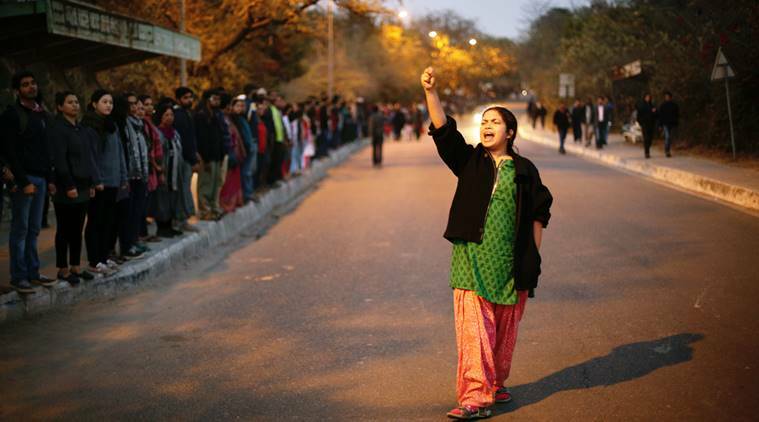 Teachers and students form a human chain inside Jawaharlal Nehru University campus in Delhi on 14 February 2016, to protest against the arrest of student union president Kanhaiya Kumar and the government crackdown on student movements. Source: photograph by Oinam Anand (Indian Express). Vandana Shiva: At the end of the day, we are in the middle of a war paradigm. There is this fear of intellectual freedom because the old paradigm must be maintained to continue that project of colonising the earth, colonising people’s minds. The minute people are able to think for themselves, that project is over. Assault on academic freedom is built into the kind of economy we live in. It must create immunity for itself and it must reduce into dumbness even though it calls itself ‘smart’. It must unravel into a deeper level of unknowing. Those who played in Wall Street in 2008 had no idea what they were doing. Those who were supposed to regulate them had no idea what was going on and it all came out. So we are literally handing over fate of the planet to casino players for betting on everything. The real life alternatives, in such a context, means that wherever we see an enclosure, we need to open it up with courage, creativity and solidarity. Those are three things we need most. The big difference between the movements of post-war years and now is that movements then could be very specialised. The labour movement only fought for labour rights, the environmental movement was just an environmental movement, there hasn’t been a strong farmers movement but there were little initiatives. These were never connected to each other. We also can’t afford to think of academic freedom as only a university exercise. It is only when a university professor and her students connect to real communities through participatory research, new knowledge emerges. And it is a bit like micro-rhizome, you know? I think it is a model for political organisation, whether it is for intellectual freedoms or political freedoms because eventually it is those bonds that you create which quietly build resilience. One tree can be starved but nutrients from others can feed it. The system has become too smart to assault linear challenges. It is only solidarity that matters and we have to be the micro-rhizome of the future.